Music has always been the biggest passion in DJ Tiësto’s life and he felt the need to share that passion with other people. Between 1985 and 1993 he performed as a resident in several clubs in Holland and in these years he developed an important foundation. Together with Arny Bink he founded the record company Black Hole Recordings which provides the world with all sorts of quality dance music. On Black Hole Tiësto has his own Magik and In Search Of Sunrise Series, which are very succesful all over the globe. Tiësto also mixed the first two Space Age volumes, and most recently Nyana. His remix of Delerium Featuring Sarh McLachlan – The Silence was the first house track ever broadcasted on daytime radio in northe america and was four weeks in the U.K. top 10 chart. In 2001 Tiësto started a new sublabel, MAGIK MUZIK which is providing the world with Tiësto’s finest productions and his favourite tracks. The first releases were the 2001 anthems Flight 643 and his long awaited artist album In My Memory, and lately massive anthems from Umerk, Mark Norman and Mr Sam vs. Fred Baker. Summer 2002 Black Hole Recordings UK is born, a sister company set up to service the english market. After winning almost every dance related award in 2002 a crown was put on his career by being voted the number 1 DJ in the world in DJ Magazine’s top 100. The year 2003 has been a year filled with highlights. Tiësto is now officially the first DJ in the world ever to sell out a stadium event with a solo performance for over 25.000 people. Like Nyana, the Tiësto In Concert DVD has reached the gold status, same for the hitsingle Traffic which is the first instrumental track to reach the numner 1 chart position in 23 years. 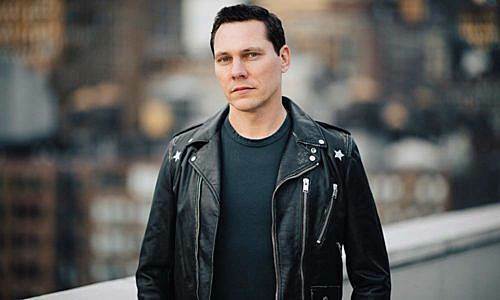 In 2003 Tiësto has won 3 TMF awards (Holland & Belgium), 2 Dutch DJ awards, one MTV holland award, and was again number 1 in DJ Magzine’s top 100, first time a DJ got this spot twice in a row!